PayPal has been around since 1998 and is one of the best in the business when it comes to online transactions. The benefits PayPal brings to the table are numerous, as it is probably the biggest and most popular payment processor in the world. We’ve narrowed down the 4 biggest advantages PayPal brings to its users. PayPal is extremely easy to use. It allows you to be as flexible as you wish, set up several bank accounts and connect multiple credit and debit cards. You can do everything with just a few clicks of the mouse. And even if you face problems down the line, you can rest assured, as they offer great support to their users. Their support is always ready to assist you, and there is more than enough information available in their FAQ section. PayPal works very efficiently, as it not only allows you to send money between two PayPal accounts but also allows transactions between PayPal and credit cards, as is the case in e-commerce. Since it is owned by eBay, PayPal allows integrated online auctions, meaning you can place bids and make online purchases with ease. In addition to this, the company has created dedicated Android and iOS apps, as well as credit card readers so you can pay with your credit or debit card everywhere you go. Since PayPal allows you to create a business or a personal profile, you can use it the way it suits you the best, all you need to do is connect it to your bank account. Making payments and withdrawals is quick and easy, no matter if you are using a native or foreign currency. That’s why it’s the first choice of many freelancers and companies who operate online. PayPal’s services are used in a variety of online businesses, ranging from gaming and entertainment to online shopping. For example, PayPal is great for online casino players and sports bettors, as it provides them with an option to quickly and securely deposit and withdraw money from online casinos, no matter their location. 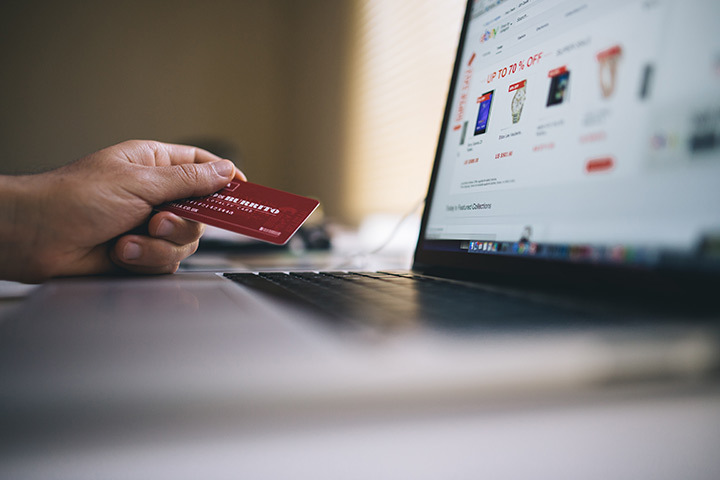 You can also save money when shopping online, as PayPal is partnered up with a number of businesses to bring you exclusive deals and discounts. If you browse their website and go to their Featured Offers, you can find deals from eBay, Spotify, Macy’s, Hotels.com and a lot more reputable businesses. When you create a PayPal account, you’ll have to type in your credit card details in order to confirm the card. After you finish up that process, the information will be kept in the PayPal secure system, and you will never have to disclose your credit card info to any website. PayPal will act as a middleman for every transaction, so you can pay, shop and receive money without having to worry about your personal or financial information. Lastly, it’s also worth mentioning that PayPal is entirely free. That’s right. Unlike similar reputable processors such as Payoneer, PayPal doesn’t apply any service charges, monthly membership or maintenance fees. By using it, you can actually save money. The only cost you’ll have when using PayPal is the small withdrawal fee when you request a withdrawal, but other than that, you can use PayPal’s services completely for free for as long as you wish.